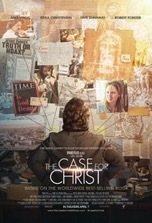 Based on the true story of how Chicago Tribune reporter, Lee Strobel (Mike Vogel), set out to debunk Christianity in the early 80s, The Case for Christ is a challenging biopic that proceeds in an investigative manner and delivers its evidence fairly and without being overly preachy. As a stone cold atheist, Lee launches into a zealous, one-man crusade to discredit Christianity when his wife, Leslie (Erika Christensen), starts attending church and becomes a follower of Jesus. Lee embarks on a cross-country trek to discover the truth, interviewing experts on both sides of the argument. In the end, Lee comes to the realization that either way, believing or not believing in Christ, requires a leap of faith. Vogel (Under the Dome) and Christensen (Parenthood) are effective in their leading roles as a couple struggling to reconcile their divergent worldviews. Robert Forster, as Lee’s estranged father, and Faye Dunaway, as a professor of psychiatry at Purdue University, are dependably good in their ancillary roles. The coifs and costumes are all appropriate to the milieu, as are the product placements, i.e., the yellow bottle of Joy dish soap and Lee’s Motorola pocket pager. For a pro-faith film, this is an impressive production, especially when considering the quality of the typical Christian film. In the end, no matter which side of the argument you’re on, you must admit that this movie makes a compelling case. How to draw a camel in the sand. “Cavemen in Britain.” Was Britain even around back then? “Destined to wander.” Israel has a history of wandering. Dreams run in the family. Keen observation. “The boy must die.” Good luck with that...he dies at 33. “He is not just a child.” Amen. “The Romans fear the young.” With good reason. “I like this child.” Me too. The #AngelChild tells #Satan to keep his hands to himself. Don’t say the word rain around #Jesus or it’ll start raining. “She’s just a woman.” Show more respect for Mary. Romans in the temple. Oh my! “God is your father.” A big question is answered for #Jesus. Final analysis: a unique telling of #Jesus’ early years with some beautiful locations and a solid cast. Rating: 2 1/2 out of 4. Perfect casting of the central role infuses the film with joy and compassion. A host of films have focused on the life of Jesus, and the vast majority of those have included the same basic story elements, i.e.,: his birth, ministry, crucifixion, resurrection, ascension, etc. 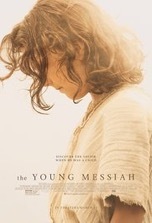 Since the entire film focuses on the titular savior at age seven (even though the temple scene actually took place when he was twelve), The Young Messiah is an exception to the typical theological presentation. But with little to no Biblical backing for many of the events in the film, what Messiah gains in originality it loses in authenticity. Taking its cue from the recent Roman soldier spotlight film Risen, Messiah applies the 80/20 Rule to its narrative structure, with 80% of the story extrapolated from recorded history and dramatized for a mass audience and only 20% coming directly from passages in the Bible. The most noticeable deviation from the holy text is when young Jesus (Adam Greaves-Neal) performs miracles while he’s a boy living in Egypt. There’s no scriptural support for this plot point, and to the contrary, the Bible records Jesus’ first miracle at the wedding in Cana (John 2:1-11) when he was thirty. Be that as it may, the young lad having to conceal or constrain his supernatural powers is an interesting plot point that’s analogous to many comic book yarns where the hero tries to hide his abilities in order to blend in with the general populace (Superman being chief among these archetypes since, as many have noted, the Man of Steel’s messianic origin story and miracle working abilities directly parallel Christ’s). However non-canonical this subplot is, it does create tension and intrigue, especially in the early passages of the film (although I could’ve done without the gimmicky bird resuscitation scene). Also, like in Risen, Messiah features several new story elements that work quite well, including: Sean Bean as Roman centurion Severus, a conflicted soldier who is tasked with killing the young healer, and the Spartacus (1960) style Roman road flanked with crucified Jews. I was hoping that young Jesus would look up and knowingly stare at a cross…a foreshadowing of his impending demise. But alas, this is just one of many examples in the film of how an opportunity to create art was passed over (pun intended), which might speak to a lack of vision on the part of director Cyrus Nowrasteh or a shortage of shekels which shackled the production. All is not lost artistically though, since there’s a really nice aerial shot of Jesus’ family traversing the serpentine road lined with crosses at the end of the sequence. Despite period appropriate costumes and a handful of decent location shots, the film has a decidedly cash-strapped appearance. Sometimes acting can help elevate a budget-challenged picture (like Ben Kingsley in Walking with the Enemy), but such is not the case here. Other than Greaves-Neal, Bean and Sara Lazzaro (who plays Jesus’ mother, Mary), the rest of the cast members deliver par or subpar performances. All things considered, this was a valiant attempt at focusing on a brief chapter in Christ’s early years, but the writing, acting, directing and overall production didn’t support its vision or potential. Ironically, Messiah will go down as just another average Bible film that failed to inspire its audience. 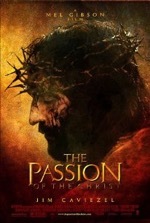 The Passion of the Christ is the most powerful and controversial movie ever made. What makes the film powerful is an engaging script, emotional performances and inspired direction; it’s the first “Jesus” movie that’s ever depicted the Savior with more than just a trickle of blood flowing down His brow. It’s controversial because of the graphic scenes surrounding Christ’s torture and crucifixion and due to charges of anti-Semitism. Beyond the scourging and crucifixion, The Passion of the Christ is powerful because of the humanness of the characters and the horrific situations they find themselves in. Take Pilate (Hristo Naumov Shopov), for example; reticence is written all over his face as he presents Jesus to the seething mob. Whether filled with compassion or dispassion, it’s very clear that Pilate feels trapped and just wants to rid himself, one way or the other, of “the king of the Jews.” And then there’s Mary, mother of Jesus (Maia Morgenstern). As Jesus stumbles down the Via Dolorosa, toting the cross on His back, He falls to the ground and Mary has a flashback to when Jesus tripped and scraped His knee as a boy. Who will ever forget the look on her face? Or who will ever be able to forget Jesus’ anguish in the garden or the scourging or the crucifixion as a result of James Caviezel’s Oscar-caliber performance? Or the downright creepy portrayal of Satan by Rosalinda Celentano? Is The Passion of the Christ anti-Semitic? Pilate washes his hands of Christ’s blood, so that would seem to place bloodguilt on the Jewish people. And yet, it was the Romans that nailed Him to the cross. I think the point is clear: we are all guilty. It was our sin that nailed Christ to the cross; that’s why none of the faces of the Roman guards are shown. It’s almost as if director, Mel Gibson, is saying, “insert your face here.” As has been well publicized, it was Mel’s hands that were shown hammering the nails into Christ’s hands and feet in the movie—we must all take responsibility for the weight and consequences of our sin. That’s the message of the movie, not that the Jews were solely at fault. The film is also controversial in some Protestant circles, as Gibson textured the movie with many added or contrary elements borrowed from Catholic mystic, Anne-Catherine Emmerich. At first glance, the aberrations from the sacred text simply seem to be stylistic embellishments, but upon further scrutiny, these altered scenes would certainly smack of heresy in the Protestant mind. Here are just a few prime deviations from scripture: 1. Satan tempts Jesus in Gethsemane, 2. Jesus is lashed thirty-nine times on the front and back, 3. Pilate’s wife gives Mary some towels, 4. Mary and Mary Magdalene wipe up Jesus’ blood after the whipping, 5. A crow pokes out the eye of the unrepentant thief and 6. Roman soldiers take Jesus off the cross (the Bible claims that Joseph of Arimathaea and Nicodemus took Him down). Whether you view the movie as controversial or whether you even believe the story is presents, there should be no doubt in anyone’s mind that this is a stupendous achievement…a superior piece of cinema. With A-list acting, directing, writing and scoring, The Passion of the Christ is an illumined effort, divinely crafted with images and events that won’t soon be forgotten.